French-Rwandan Gaël Faye is an author, composer and hip hop artist. He was born in 1982 in Burundi, and has a Rwandan mother and French father. In 1995, after the outbreak of the civil war and the Rwandan genocide, the family moved to France. Gaël studied finance and worked in London for two years for an investment fund, then he left London to embark on a career of writing and music. He is as influenced by Creole literature as he is by hip hop culture, and released an album in 2010 with the group Milk Coffee & Sugar. In 2013, his first solo album, Pili Pili sur un Croissant au Beurre, appeared. It was recorded between Bujumbura and Paris, and is filled with a plethora of musical influences: rap laced with soul and jazz, semba, Congolese rumba... In 2018 he received the prestigious Victoires de la Musique Award. Small Country is his first novel. It was a huge bestseller in France, winning the Prix Goncourt des Lycéens 2016, and is being published in thirty territories worldwide. "An evocative portrait of what it means to lose one’s freedom and innocence. 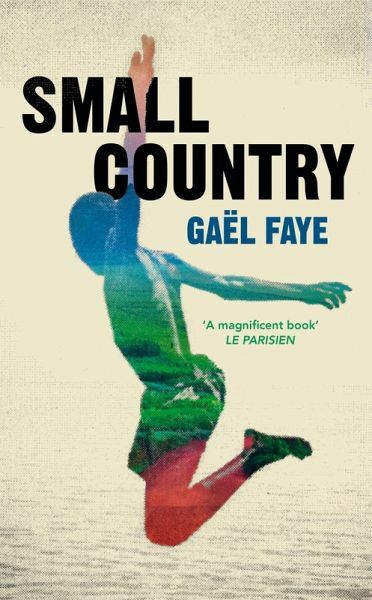 Gaël Faye’s literary powers lie in his unbridled honesty and his effortless prose. He is a writer of great promise and grace"